Evelyn Creaser-Rumley hails from an East Coast family of musicians. She completed a Bachelor of Music Violin Performance degree at the University of Western Ontario, and a Master of Music Performance degree at UBC. She also studied at the Cleveland Institute of Music with David Cerone. Evelyn’s musical mentors have included Gwen Thompson, Joseph Gingold, Sidney Harth and Pinchas Zuckerman . 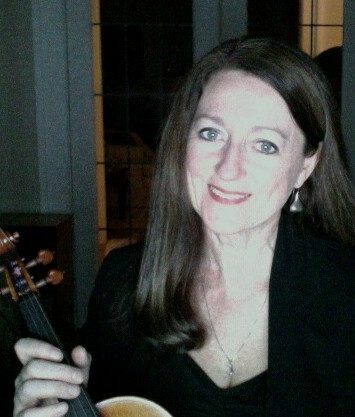 Since her graduate student days, Evelyn has been a dedicated faculty member of the Vancouver Academy of Music, teaching violin, chamber music, orchestra and technique classes to students of all ages, from Suzuki to graduate level. She originated and taught the Academy’s theory programme for ten years. Evelyn is active as a music festival adjudicator throughout the province. She performs as a soloist and chamber musician for various organizations, including the Health Arts Society, through which she brings music to a large number of seniors’ and health care facilities, a true labour of love. She has had many award-winning students, some of whom have received medals for examinations and festivals, performed with the Vancouver Symphony and other orchestras, and gone on to prestigious music schools such as Eastman, McGill and the Cleveland Institute. Having raised a musical daughter at the Academy (presently in England performing with the London Symphony Orchestra), Evelyn appreciates the joys and values that music can bring to a child’s life.